Are You Unknowingly Drinking "Dead" Water Void Of Essential Minerals? This crystal clear water is from a reverse osmosis system, which removes more than harmful chemicals. It also removes essential minerals vital to your health and well-being. Are you drinking reverse osmosis (RO), distilled, or bottled water? If so, read on to discover why you may need to make a change for the sake of your health and wellness. For a while, my family and I were happily drinking reverse osmosis (RO) water thinking we were not only doing the eco-friendly thing by not drinking bottled water, but also doing what was best for our health, too. What we didn’t realize at the time was that we were slowly damaging our bodies by drinking “dead” water — i.e., water void of minerals essential to our health, such as calcium and magnesium. I knew this was the case for distilled water, but was surprised that RO was just as bad. Then I found out that some bottled water is even made using RO water! That left me wondering what was best for my family’s health. Should we modify the RO water somehow? Drink mineral water? Supplement? Just use a carbon filter for tap water? What exactly? If you’re wondering the same thing, read on to discover what I found out after doing a little in-depth research. What kind of water do you get with a reverse osmosis system? Well, RO systems appear to do a pretty decent job of removing chemicals, harmful minerals, and contaminants from your tap water. Most have a sediment filter that removes things like dirt and rust, a carbon filter that removes chlorine and odors, and a RO membrane filter that removes metals, salts, and harmful contaminants, such as percolate, radium, cysts (e.g., Giardia and Cryptosporidium), lead, and arsenic — the latter two of which are notorious endocrine disruptors as described in this post. RO systems also remove about 70 – 80% of volatile organic compounds (VOCs) according to this article by Freshwater Systems, an on-line store specializing in water treatment systems. But did you know that in addition to those harmful things, it also removes what’s good for you — i.e., healthy macro and micro minerals (aka trace minerals)? According to the Premier website, a leading manufacturer of reverse osmosis and other water systems, the filters reduce calcium and other minerals by 99%! So, what you end up with is water with both the “bad” and the “good” removed — rendering it essentially lifeless in my opinion. You can taste it, too. It seems flat and dead. My cats won’t even touch it! Also, freshwater fish don’t do too well living in RO water either, which is why many companies offer remineralizing products for aquarium owners. Therefore, if fish and animals can’t survive with RO water, how can we? Bottled distilled water is often made from the steam of RO water, so it might be perfect for your iron or steam machine, not just for you unless you enliven it with minerals. For a very detailed in-depth look at what distilled water is and all the pros and cons, check out this article by Jon Barron, Founder of the Baseline of Health Foundation. Many bottled water manufacturers — and most likely some flavored beverage manufacturers — may use reverse osmosis to purify their water as well! So, your favorite bottled water or iced tea brand may be missing essential minerals, too. But many manufacturers do enhance the taste of their water with minerals. The problem is the FDA doesn’t require them to reveal the source, content, or processing method, so you often don’t know what you’re drinking unless the manufacturer is transparent. You’d be surprised at how many of the top brands don’t state what’s in their products. Also, bottled water is an obvious waste of resources and tons of plastic bottles just ends up in our landfills, so it’s not a very green option at all. Is having water without minerals really that big of a deal? Yes! When water doesn’t have any alkalizing minerals like calcium in it, the water is left slightly more acidic. Pure water normally has a pH of 7 and is considered a neutral. Anything below 7 is considered to be more acidic and anything above more alkaline according to this article by Anne Marie Helmenstine, Ph.D., About.com Chemistry Expert. Also, drinking water compared to pure water does vary quite a bit with a pH of 6.5 to 8.5, because of the minerals and gases in it. Helmenstine considers any drinking water below 6.5 to be acidic. Considering RO water typically has a pH somewhere between 5 – 6 according to Pure Tap Water Systems, a supplier of RO systems, you are definitely drinking acidic water if you are using a RO system at home or drinking non-remineralized bottled water that was created using an RO system. Many RO manufacturers claim this pH issue isn’t a big deal, because the acidic water ends up in our stomach, which is an acidic environment. But they’re missing the point — our body needs certain minerals to function optimally — and those minerals are what also make the water more alkaline. Plus, minerals are very bioavailable when they’re in water and may even enhance mineral uptake when drunk in conjunction with a meal as this article on magnesium-rich water that was published in the American Journal of Nutrition concluded. What role do calcium and magnesium play in your health? Calcium and magnesium are just two of the major minerals that our body needs to function at its best that are removed by RO systems and steam distillation, so let’s take a look at what they do. Magnesium plays an important role in our bodies because it is involved in over 300 biochemical reactions in the body according to MedLine Plus, a website of the U.S. National Library of Medicine and National Institutes of Health (NIH). Magnesium comprises 50-60% of our bones and soft tissues according to this NIH Magnesium Fact Sheet for Health Professionals, so it definitely plays a key role in strong bone health and tissue formation. In fact, a recent study by the Norwegian Institute of Public Health showed just how significant magnesium is for bone health by showing that drinking water low in magnesium resulted in more hip fractures for both men and women; interestingly enough, they did not find that calcium levels related to hip fractures. Magnesium also maintains healthy nervous system and muscle function, supports the immune system, regulates blood pressure and blood glucose levels; and plays a key role in energy production and making protein. MedLine Plus also points out that research is being conducted to determine magnesium’s role in preventing and managing disorders such as diabetes, high blood pressure, and heart disease. Calcium is a mineral critical to several bodily functions. In addition to giving structure and strength to bones and teeth, calcium also plays other important roles in the body, such as conducting nerve signals, making muscles move, aiding in the release of hormones and enzymes, and helping blood vessels circulate blood throughout the body according to NIH. For information on health benefits, dosing, supplements, and more, check out the NIH Calcium Fact Sheet for Consumers. So, as you can see, we really need calcium and magnesium in our water and shouldn’t rely on only getting it from food and supplements. Steadily taking in these vital minerals by sipping on water is after all, the way nature intended it to be. RO systems remove 99% of all minerals, including trace minerals, which are also called micro minerals, because such small amounts of them are needed daily for optimal health and wellness. Many would advocate that you can get these minerals from food, but synthetic pesticides and poor soil conditions have stripped away many of these minerals, which is why eating organic is so important. Trace minerals include things such as chromium, copper, flouride, manganese, molybdenum iodine, selenium, iron, and zinc. To see all the health benefits they provide, check out this About.com article. My thought is that just drinking plain tap water isn’t the best option. Also, sometimes it’s not the tastiest or best smelling. Removing harmful contaminants and chemicals, such as chlorine, from your water is absolutely essential. A 2011 report on bottled water by the Environmental Working Group recommends you drink filtered tap water instead of bottled water, but it doesn’t indicate what kind of filtration is best. So, at the very least I would recommend using a product with a simple carbon filter, but carbon filters may still leave some undesirable things in your water such as dissolved inorganic contaminants and heavy metals (e.g., antimony, arsenic, asbestos, barium, fluoride, mercury, nickel, nitrates, sulfate, thallium) according to this article by LiveStrong.com. However, there are some systems that use a fluoride reduction cartridge and ceramic cartridge in addition to a simple carbon filter that do a much better job. Therefore, that may be a better option. But what about RO water? If you can add minerals to your water and make it more alkaline, I think RO is a viable option, because it does get rid of all the undesirables if maintained properly. However, some systems do waste a lot of water. Luckily, some manufacturers are now offering “zero-waste” RO systems , which are much more eco-friendly in my opinion and therefore a better choice. But that still leaves the question of minerals. How can you add the minerals back into your water? Stay tuned for my upcoming post on seven ways you can re-mineralize your water for better health. I’ll talk about how you can make your water “alive” again with life-supporting minerals essential to your health and well-being with a few products that have been around for a while, such as trace minerals drops, as well as some new and exciting products that you can use not only at home or at work, but also on the go. ← 10 Quick Holistic & Healthy Ways to Boost Your Energy Right Now! Companies have marketed that you need minerals added back into your water. This is completely false. As you stated, we get all our minerals from food, not water. From what I’ve read, minerals from the ground do not break down in our bodies like minerals from our food. Most past though. Such a misinformation that these articles are out here like this. This is the one bad part of the internet. If one consumes enough fresh vegetables, one is consuming all the essential minerals the body needs, even if one is drinking pure demineralized or distilled water. Those who eat only eat and/or processed foods, with little or no vegetables, minerals consumption becomes dangerously low if one drinks only RO or distilled water. There’s no need to add minerals to any water if ones consumption of fresh vegetables is sufficient, preferably from organic farms where soils aren’t saturated with pesticides and herbicides. Containments of tap water is really increasing our visits to the doctor. You point all the facts and after reading your article I am thinking that the RO system is the king to the water filtration industry. I am right or there is any other better option available other than RO. we have a well water source. What would you suggest me in this situation? I am so frustrated. Did We make a mistake adding a Reverse Osmosis system to our kitchen faucet? We have one that puts the minerals back in and a big tank..Aquasana is who we used! I worry! The Co.said it is the best system they have to offer and was featured on the Today Show. I am married ,and also have a 19 yr old cat,and two bulldogs. Than I am reading that we need to clean the big tank 1x a week.? Never heard this! Thought this was suppose to be easy and super healthy and now I am beyond frustrated. From what I have read, that a natural source of alkaline is more benefits then a machine made alkaline and possible get the opposite results from machine-made source. Colin, what is the name of your company? I have been using reverse osmosis filter for 10 years I get blood work every 3 months I have had no mineral loss at all. This is the worst information I have ever seen ro water is 100% safe. RO systems do remove minerals from tap water. However, we humans get the vast majority of our minerals from the foods we eat, not from drinking water. For example, 1 glass of orange juice has the same amount of minerals as 30 gallons of tap water. Try drinking that for your morning breakfast! Your anecdote and unsupported claims aren’t as convincing as you think. Do you have any links to valid research? If I didn’t know any better, I’d think you were an angry RO salesman. I feel so frustrated sometimes reading so many different articles that have different studies on what is good and bad. It can feel overwhelming at times. I use a good filtration system, but it doesn’t filter out Flouride. I was thinking of getting a reverse osmosis but then saw several articles saying it was bad for you. Have you looked at Aquasana reverse osmosis system? It says it doesn’t remove important minerals ? Also – the ph of 8.0 might be good for people , but that is horrible for animals. My cats would have urinary issues. I feel overwhelmed not knowing what system to get that would be good for myself and for them. Natural spring water has what ph? I would think that would be best but then that is buying bottled water with harmful chemicals from plastic. Feels like you can’t win. I know, it can definitely be overwhelming to figure out just what kind of water to drink. The way I think of it is this. If we had no pollution or toxins to worry about, what kind of water would we drink? It would probably ideally be local water full of natural minerals from a fresh source, such as a spring or artesian well. What kind of pH do these waters have? Well, after doing a little research I discovered the pH varies quite a bit depending on the source. This site, phConnection.com, breaks it all down for you in an informative table showing the pH values of various kinds of waters from around the world, including spring, glacier, artesian, natural mineral, reverse osmosis, tap, and municipal waters. I noticed that on the low-end a spring water from England, Ilanllyr Water, has a pH as low as 4.75, whereas one from France, Vittnel Vosges, has a pH as high as 7.98. But what about some local brands? One brand I see a lot in stores around here is Lake Arrowhead mountain spring water. So, I decided to check out the company website. I discovered that the pH varies from 7.2 to 8.4, most likely because it is sourced from different springs throughout the U.S. and Canada. Of course, I also learned that they put their drinking water through a multi-step process, which includes reverse osmosis! OK. So maybe I added to the confusion in talking about pH, but it is interesting to see how greatly natural sources can differ. However, if I had to choose, I would stay somewhere in the middle ideally. Not too extremely alkaline nor too acidic. Dr. Mercola, a well known osteopathic physician, points out in this article that something in the pH 6.5 to 8.0 range may be a good place to stay. He also cautions that if you drink alkaline water on a daily basis, it’s possible that you could raise the alkalinity of your stomach and interrupt your ability to digest food. You need stomach acid to break down food and extract the minerals you need, so alkaline water in the long term may not be helpful. However, in the short term, it may prove to be beneficial while doing a detoxification program. So, considering this viewpoint from Dr. Mercola, perhaps a reverse osmosis system that produces water with a pH of 8.0 may be too alkaline to drink on a regular basis. At some point, I’ll try to look into the whole pH thing in more detail and put what I find into a future blog post as you raise some very valid concerns regarding the pH of drinking water. Thanks for stopping by and commenting, David. Thanks for explaining in such detail about reverse osmosis filtering systems. I have chosen not to install one. First it was difficult to do it correctly with my faucet type. Next, I would not know when it was no longer functioning optimally, getting clogged or whatever. So I will stick to my bottled water. Evamor is my current favorite with a ph of 8. Thanks for your comment, Dr. Erica. Drinking alkaline water definitely has its benefits, but there is some controversy as to just how alkaline your water should be. Does Evamor have minerals in it, too? Well I drink RO water.. I drink lots of water.. I can’t stand the taste of what comes form the tap and I can’t stand the taste of most types of bottled water…I know a bit of a princess!! I supplement so know that I get all the magnesium and calcium I need.. I just don’t like the taste of most waters, so knowing how much I need to drink, I feel safe that the RO is where its at for me! I look forward to your article on the way to remineralize water. Hi Holly. Thanks for taking the time to comment on the article. Figuring out what is best for you is half the battle, isn’t it? Since you’re sticking with your RO water, be sure to check out my new post, “7 Ways to Enliven Your Water with Minerals for Better Health.” It includes a few ideas for adding trace minerals to your water, which you may not be getting with your calcium and magnesium supplements. Thanks for bringing up Dr. Emoto, Sarupa. I had heard about his work some years back and found it fascinating that water crystals appear differently depending on the type of music playing. It made sense to me because of the vibrations in the music. Your comment prompted me to want to find out more and I discovered he has a website: http://www.masaru-emoto.net/english/index.html. On his site, he talks about how water crystals also respond to other things, such as prayer, and how frozen water crystals appear differently depending on where the water is sourced from. Tap water and water from sources near big cities didn’t form beautiful crystals like water taken from more pristine sources, such as lakes. So, it’s definitely one more thing to consider in choosing how we treat our water! I have a water filter tap attached to my kitchen sink but I am not really sure what it is that it removes although I am pretty sure it is not a reverse osmosis system. Because of the beginnings of osteoporosis I take Calcium+Magnesium tablets although not as regularly as I should. I do hope that my filtering system is not taking them out. I need to do some research. We have a relatively new system as we installed it when we moved. I still have to work out how to change the filters. I am sure they are overdue to be changed. It concerns me that any nasty things it has been taking out are now being leached back in to the drinking water. Hi Sue. Thanks for taking the time to comment. From my understanding, those filters do only last so long in order to be effective, so you might want to check yours. I know I often lose track of when they need to be changed. Perhaps putting a “time to change water filter” note on the calendar might be effective. By the way, in my post, “7 Easy Ways to Enliven Your Water with Minerals for Better Health” (https://wellgal.com/7-ways-add-essential-trace-minerals-drinking-water-health/), I talk about a new product — an alkaline pitcher — I discovered that has a built-in, count-down clock which prompts you when to change the filter. Might be something worth considering as it also add minerals back into the water. Hi Karen. I would have never thought that water would be such a hot topic. I pretty much drink our well water. We have a lot of limestone in this area of Missouri that the rainwater filters through. Our water has a lot of iron and calcium carbonite. I have strong bones and lots of red blood cells, so it must be good for me. Thanks for an informative post. Hello Leslie. Lucky you! Well water can be some of the best water there is. Do you frequently test it as the CDC (Center for Disease Control) recommends in this article: http://www.cdc.gov/healthywater/drinking/private/wells/? Very interesting – a lot of facts to take in that’s for certain. In any case where I live in many areas drinking tap water isn’t an option and at the very least you need a heavy duty filter. Many people use a water service or resort to bottled water which ever happens to be the least expensive because when you’re working 3 jobs just to be able to keep a roof over your head fancy water systems aren’t on the radar. Thanks for the inspiration! Very true, Marquita. Price is definitely a consideration when determining what filtration system is best. By the way, when it comes to adding minerals back into your water, something as inexpensive and simple as Himalayan sea salt works as I talk about in this post: https://wellgal.com/7-ways-add-essential-trace-minerals-drinking-water-health/. what a great and healthy oriented article you have here.. Thanks so much for sharing. I was aware of much of what you wrote, but some how avoided the part to do something about since I do pretty much fresh juicing and in some ways balancing the Ph of the water.. BUT now that I re-read the info that I was already aware, it made me stop and think and make some changes right away since I drink a lot of RO water lately and less juices. Will look forward to read the solution that you have prepared to write.. and for certain will be very useful to me and many others. Thanks for taking the time to comment, Nick. I’m glad the article was helpful. You bring up a good point of how we might think we are doing something — e.g., frequently drinking fresh juices full of vitamins and minerals — when in fact we really aren’t. Every now and then, I find it useful to stop and do an actual mental check of what I eat and drink throughout the day by doing a food journal for about a week. I find that my habits may change depending on what’s going on in my life… So, I’m glad you realized you may be taking in more RO water than you thought so you can do something about it! Great article and I never knew there was “dead” water…thanks for sharing. I just drink tap water. Looking forward to your article on how to re-mineralize RO water. Just drink tap water. Tap water is more regulated than any other water in the country. Thanks for your comment, Heather. It’s very true that local water is regulated, but sometimes the odor and taste isn’t that great depending on where you live in the country. Also, to make water safe, water treatment plants often use chlorination or other disinfection techniques. The problem is that chlorination (and treatment methods such as ozone) can react with organic compounds in the water (e.g., algae), contaminants, bromide, and iodide and result in disinfection byproducts (DBPs), which have definite health risks. Studies show DBPs may affect reproductive function (e.g., lower sperm counts, delayed puberty) and be linked to certain cancers, such as bladder cancer. There are several kinds of DBPs [e.g., Trihalomethanes (THMs), Haloacetic Acids (HAAs), Haloacetonitriles (HANs), etc.]. Some are currently regulated by the government, but the problem is that many are still “emerging.” So, your tap water may not be as safe as you think. Granulated active carbon filters, which are in RO systems and other filtration systems, remove DBPs and any chlorine, though I’m not sure how many DBPs per se. 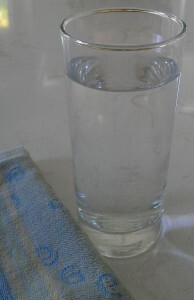 So, filtration seems to be a much better option than just drinking plain tap water. Finally, the type of pipes carrying water to your home are another concern as they may introduce microbes and contaminants, such as lead. A filtration system would take care of that concern as well.